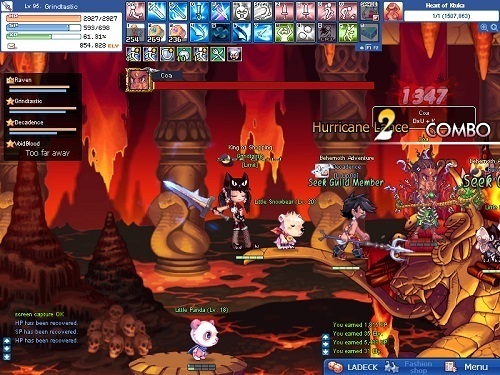 LaTale draws heavily from other 2D side scrolling games such as MapleStory to deliver a great fantasy MMORPG world. LaTale was developed by Actoz Soft originally launching in South Korea in 2006 and saw an official release in North America in 2008. 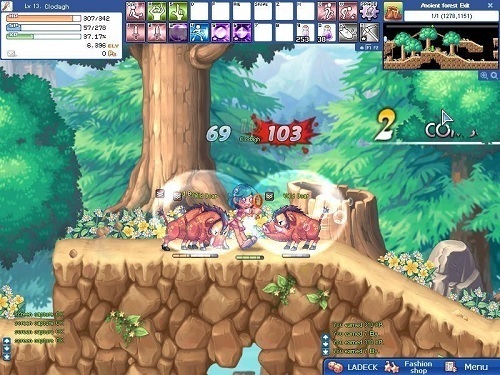 The gameplay in LaTale is very similar to other MMORPGs with players exploring the game world in a 2D side scrolling manner and controlling their character using keyboard and mouse interfaces. Players travel the world completing quests for the various NPCs, gaining levels, spending skill points and upgrading equipment. LaTale isn’t trying to redefine the MMO space and focuses on mixing the best that the genre has to offer into a single game. It definitely succeeds on this front with every element and mechanic in the game feeling polished and well thought out. Players earn the main currency in LaTale known as Ely for defeating monsters, completing quests and selling their items (to vendors or other players). While the premium currency for the game is Astros which allows players to access a number of premium items that are mostly cosmetic in nature which prevents paying players from gaining an unfair advantage. The class and stat point system available in the game are very simple but still provide more than enough depth and customisation for players to tweak their character. Players earn stat points as they level up which they can invest in Power (damage), Stamina (health), Magic (magic damage) or Luck (critical chance). These stat points are also linked to the various classes in LaTale. The available classes include Warriors (Power), Knights (Stamina), Wizards (Magic), Explorers (Luck) and Engineers (balance of all stats). After reaching a certain level players can advance their training to specialise in a particular field. The Warrior for example can advance to a Warlord that wields two handed weapons or a Blader that wields sharp blade weapons. Very similar to MapleStory in design. Good class variety and advancement opportunities. Wonderful game soundtrack and visuals. Easy to learn but still offers plenty of depth.